When it comes to protecting your dream, East Lake Title has got you covered. You’ve worked too hard to finally realize your dream, only to find out it`s not legally yours!When land or property changes hands over time, there`s always the chance that somewhere along the line a mistake was made regarding the title. Even on a new home, there may have been many previous owners of the land underneath it. Did you know it’s possible someone other than you, as the owner, may have legal right to your property?Of course, we all like to think devastating things like this won`t ever happen to us. Yet, every year brings millions of dollars in title claim disputes. Ignorance is anything but bliss when it can cost you your most important investment. Fortunately, there`s an easy, affordable way to safeguard yourself. For a one-time premium, nothing else can provide you with peace-of-mind quite like Title Insurance. Protect your pride and joy with an Owner`s Title Insurance Policy from East Lake Title. Most Lenders require a loan policy to insure the priority of their lien, typically the borrower pays this one time fee. Lender`s Title Insurance covers the lender for the loan amount only. Even the most thorough title search conducted by professionals can`t absolutely assure no title defects exist. Typically, with the exception of new construction, the seller pays for the buyer’s policy. Owners Title policy protects their investment as long as they own it. Costs could include attorney fees, your down payment, any accumulated equity, and the property itself. Plus, you would still owe the balance on the note. Even on a new home, there`s nothing to stop unpaid subcontractors or suppliers from placing a lien on your property. For Sale By Owner transactions present an even greater risk. While you pay monthly premiums with most other insurance policies, you`ll pay only one time for Title Insurance to protect you and your heirs for as long as you own the property. A small price to pay to secure your largest, most important asset. We`re here to stay: Rest assured, you can depend on East Lake Title to be there when you need them most. 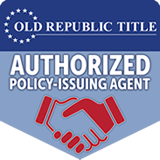 Our policies our backed by Old Republic National Title, one of the most respected and strongest title insurers in the country. Committed to excellence: As with our lending services, protecting your interests is our number one priority. Convenience: One reliable source for both your loan and title insurance under one roof. Experience the difference: We do more than claim to be the best. We back it up with extensive hands-on experience and competitive rates to exceed your expectations.